Job postings and practice opportunities are posted here as a resource for Penn Dental Medicine alumni and students. Postings are maintained for six months. For additional resources and other job postings, please see the Penn Dental Medicine Library. 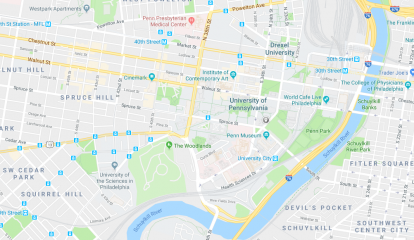 The University of Pennsylvania School of Dental Medicine (Penn Dental Medicine) does not receive payment for these listings and has no affiliation with them. Reference to any specific practice, hospital, clinic, medical facility, etc., does not constitute or imply its endorsement or recommendation by the School. Penn Dental Medicine does not investigate any job or opportunity posted. Information received (via telephone, fax, mail, or e-mail) is edited to include: the date listed, the name of the employer, address, city, state, and zip code; along with a brief description and contact information (phone and fax numbers) if submitted. Penn Dental Medicine reserves the right to withdraw or choose not to post any submissions. Listings are deleted after six months, but can be resubmitted. Penn Dental Medicine is not advised of the status of the positions/opportunities. Associateship leading to full ownership of $1.5 million per year private solo practice. We are looking for an oral surgeon to join our practice. Please visit our website to send your CV. We have a large 8 operatory practice in Northeast Philadelphia with all specialists in house. We are looking for a general dentist who can provide quality service to our patients in an efficient way. You are expected to be proficient in restorative, removable and fixed prosth. We also want a team player with a lot of positive energy, as all our doctors are young high energy professionals. HealthDrive is seeking a full-time Dentist in the San Antonio, TX and surrounding area. As the leader in providing integrated mobile medical care to nursing home residents, HealthDrive is seeking a Dentist for to join our team. We offer our doctors a combination of great benefits, flexibility with scheduling and top compensation. For more information, visit www.healthdrive.com and submit your resume or contact Karolina Turrell at kturrell@healthdrive.com with your current resume and availability for a phone call. It would be for a full time position located outside of Kansas City. I am not certain of the pay but it would be 130k-180k (depending on experience) with a potential of up to $1000 bonus per month. There is ownership potential, travel opportunities, all licensing paid for, CE courses paid in full, and relocation costs are reimbursed in full. The company is also looking into loan repayment options for employees at this time. Full time general dentist needed for high end restorative practice on the Main Line. Experience or GPR/AGD preferred Practice is a large fee for service office with three full time hygienists. We are state of the art with lasers, CBCT, and will soon be integrating digital impressions. Owners are perio-prosthodontists, so you will gain exposure to and be involved in high end, comprehensive care. Must be able to start mid-May/early June. Canal Calem Periodontal Associates in Moorestown, New Jersey is seeking a highly skilled periodontist ready to take on the needs of a high patient volume practice. Perfect opportunity for a periodontist to expand on their clinical skills all while reaching their highest earning potential. Take advantage of this Exceptional Career Opportunity that includes – High Income Potential and Potential Relocation bonus and/or sign on, benefits package including pension plan. We are a network of industry-leading dentists and dental professionals dedicated to improved oral health. We are currently looking for a Periodontist to join our established, multi-specialty neighborhood practices with a growing patient foundation. We provide our Dentists and Specialists with the most efficient, innovative, and patient-centered resources to deliver optimal patient care, a comprehensive approach to full service dentistry along with a strong focus on quality, service and patient satisfaction. Requirements: DDS / DMD Relevant State Dental License (NJ, NY, PA or Michigan) Relevant specialty certification for PA Dedicated to ensuring the highest quality of care to patients Excellent communication skills Friendly and professional demeanor. Very busy dental practice with offices in Sellersville and North Wales is looking to add an associate to our wonderful team. We are not a CORPARATION DENTAL OFFICE and we are not a sales driven office; only PPO dental insurance plans are accepted. We pride our offices in offering honest, high-quality dental treatment to entire families.We strive to excel at offering exceptional customer service and forming doctor/patient relationships that last for years. We have an incredible supportive staff; our current patient load and demand requires an additional dentist to join our team! The potential for high income is great. If interested please email current CV to Sharon18960@gmail.com. PA dental license, malpractice insurance and DEA is required. New graduates are welcome to apply. Established, Family Orthodontics practice in beautiful Cape May Court House, NJ is looking to add a pediatric dentist to our team. The position will be 1 day a week to start with a possibility to add more days in the future. Dr. must be comfortable with all pediatric procedures, and have excellent communication skills. Compensation will be a per Diem to start and will transition into a % of Collections, which is negotiable depending on experience. We are open to all experience levels. New Grads are welcome to apply. You must have an active NJ license in good standing. Position is available immediately. Please send CV to lisa@manfieldgroupusa.com Pediatric Specialists only.